This guitar has attitude, like a Shelby Cobra, or Jackie Fargo (A local Memphis wrestler that oozed attitude...check him out on YouTube, he was awesome). 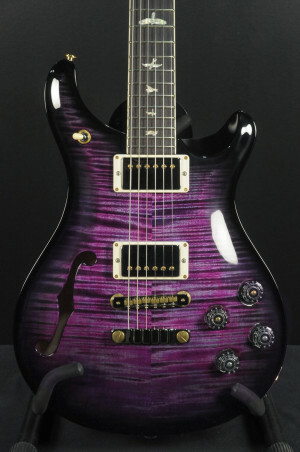 Here's a Tyler Sudio Elite HD guitar. This guitar is ridiculously loud and resonant when played acoustically (always the signs of a superior instrument). It feels alive when you play it. Strum an open G chord on it and you'll feel the neck vibrate in the back of your hand, and the guitars's body will move your chest. The electronics are extremely versatile. Not only does it have the midboost preamp with bypass button, there's an additional push/push button to tap the Super-X humbucker to a Retro. The body is Alder, the neck is quartersawn maple with an Indian rosewood fingerboard. It is set up with one humbucker and two single coil pickups. The neck shape is a standard 59' profile with a nut width of 1 11/16". It plays great, sounds great and looks so amazing. It comes with Tyler Deluxe hardshell case. Suhr Classic S Antique Roasted Limited - Burgundy Mist - Limited Run Only 200 Worldwide! The 2018 Classic S Antique features a new 60’s C vintage medium neck profile with Indian Rosewood fingerboard and V60LP single coils. The Classic S Antique retains many of the original specifications of the Classic Antique including the SSCII hum cancelling system, nitrocellulose finish, and stainless steel frets. Proprietary Suhr locking tuners and the Gotoh 510 tremolo provides superior tuning stability. This is an extremely rare and difficult to find 1985 Kramer Baretta Guitar-Art graphic guitar. The art work is the Fantasy Series, Galactic Rainbow. According to VintageKramer.com. "These were introduced in the banana head stock era, so some of these graphics are very rare because you don't see them often on banana head stock Kramers." The artist, Shannon Hall, is internationally recognized and is now the official artist for the John Lennon estate. This guitar is in excellent, near MINT condition. The previous owner said this guitar was in storage for 22 years from 1995 to 2017. The guitar is obviously a case queen, just look at the fine tuners on the Floyd and you'll see there's no wear or oxidation on the black finish. It has been professionally setup with 9 gauge guitar strings and plays like a dream. Condition: The guitar has only very light swirl marks, 1 check (clear coat finish crack) on the back. The checking line runs from the back neck plate to the trem cover plate. You have to hold the guitar in just the right light at just the right angle for it to be visible. You can barely see it. Photos barely capture it. You can feel the head stock scarf joint line, which is common on these guitars. The joint is strong and has lasted 32 years. It has a factory neck shim. This is also very common. There is no rust on the Floyd Rose tremolo or rust on any of the hardware. The frets are like new and in perfect condition. It's a collector's grade instrument. I can not see any noticeable dents, dings, or scratches. It feels heavy, so we are confident that it is a maple body Baretta. The guitar has a #4 written under the pickup. I do not know what this is in reference to. The Schaller reverse zebra humbucker pickup is dated 1/85. The guitar is an early D serial, #D-2949. This is an amazing sounding and playing guitar. The original era Kramer hard shell case is included. The case alone is rare, with key locks, and worth a lot of money. I have not seen another Kramer case like this one. We do not have the keys. Buy it fast before another collector gets their hands on it. Note: The volume knob is not original. I'm giving my age away, but I remember when these came out in 1968: the Gibson Les Paul Standard. The Les Pauls were unavailable for eight years, so it was a big deal when they we re-released. Every pro got one. 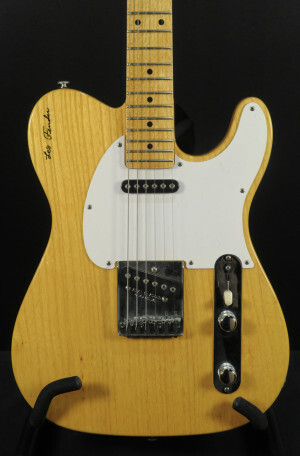 Joe Cocker's guitar player can been seen playing one in the movie Woodstock. Mike Campbell still uses his, as does Jeff Lynne. Rumor was, these first models were made from leftover bodies, necks, and other parts from the fifties. We have a really good one for you today. This is a fantastic 1968, small headstock, original P-90 pickups, one piece mahogany neck. There is lacquer checking on the front. It looks and plays great, no repairs, breaks, or other issues. The bridge and tailpiece are recent, and it has replacement Grover tuners. The frets are original. It has a great vintage patina. Strummed unplugged this guitar is very loud which is always the sign of a superior instrument. It's ready to rock and roll and sounds like a million bucks. Comes with non original Gibson hard case. Hey, how about the nicest, original, vintage Fender Paisley Telecaster on the planet? That would be pretty cool, right? Step right inside ladies and gentlemen, that's what we are offering today. As a veteran of 40 years attending guitar shows, being intimately involved in the vintage guitar world, I don't use phrases like the "nicest one" lightly. 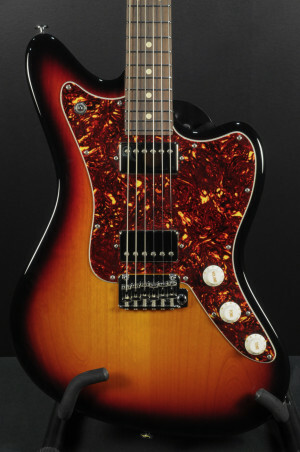 This guitar may have six months actual playing time, it is amazingly clean. There is no checking or finish discoloration that is usually found on these models. It is super clean. The only cosmetic flaws of note are two small chip on the edge of the back of the body. This a fine collectors grade instrument. It is 100% original, down to the last screw. It is uncirculated and hasn't been taken apart a million times. The maple neck is nicely flamed, it's really pretty. It is just so cool. The paisley finish is bright and vibrant. It has the original ashtray pickup cover, the neck feels fantastic. Last but not least, it sounds great. This is the best one I've seen, and I've seen a few. Comes with original case.